"Octavius to his brother Candidus, greetings. The hundred pounds of sinew from Marinus -- I will settle up. From the time when you wrote about this matter, he has not even mentioned it to me. I have several times written to you that I have bought about five thousand modii of ears of grain, on account of which I need cash . . ." -- Roman soldier stationed on the wild northern-frontier of England around 100 AD. 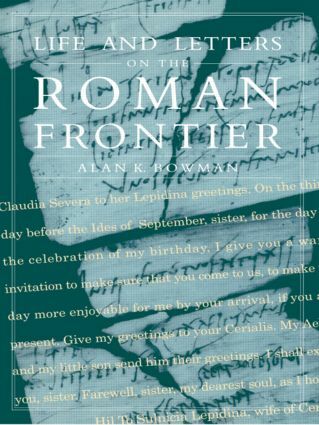 Alan K. Bowman is a Lecturer in Ancient History at the University of Oxford.